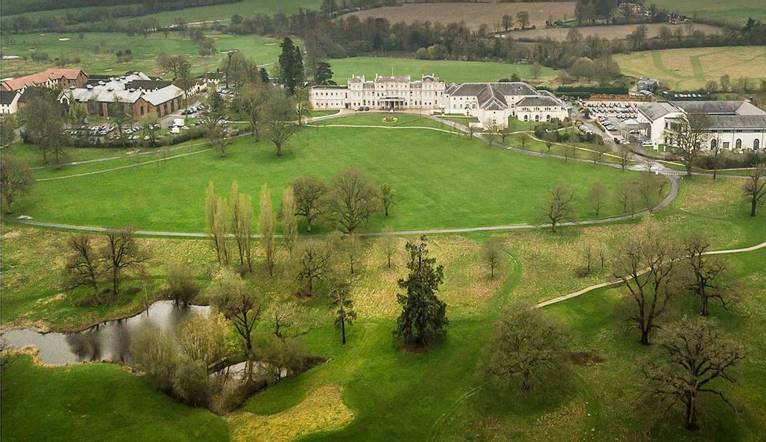 Welcome to our new UK golf break at the Wokefield Estate in Berkshire. Surrounded by 250 acres of parkland, the original house was built for the wealthy Plowden Family in the 1560s. Join your fellow golfers and play on an excellent US PGA standard golf course this summer. For a fun and friendly weekend, join us at the beautiful De Vere Wokefield Estate set in 250 acres of Berkshire parkland, perfect for unwinding and enjoying some sociable golf on a course designed to US PGA Standards that is proved to be a challenging test for all golfers. Our golf break includes two rounds of golf with tee times organised for early Saturday and Sunday morning. In between there is plenty of time to relax and enjoy the hotel’s facilities and some post-round hospitality with your fellow golfers. Designed to US PGA Standards, Wokefield Estate Golf Club is one of the leading golf clubs in Reading. The course boasts elevated trees, streams and 9 lakes – offering a challenging game for golfers of all standards. There are several memorable holes throughout the round, particularly the par 5s, which require three good shots to have any chance of making birdie. The 9th is a classic risk/reward hole, where an ambitious drive over the water can leave a wedge to the green on this 450 yard dogleg. The hotel is located off Junction 11 of the M4 or Reading station is approximately 7 mile away. Complimentary car parking is available. Facilities at this beautiful hotel include its 2 restaurants; The View and 1560 Restaurant, a bar, 18 hole championship golf course. Leisure facilities include a swimming pool and a gym. 2 rounds of organised golf at De Vere Wokefield Estate.